Larry David’s spectacular return in the revamp of the HBO comedy, Curb Your Enthusiasm, came with an unexpected, and yet natural I think, piece of product placement. In the stead of his trusty Toyota Prius, David now drives around LA in what BMW would love to be the new default, high-profile-low-consuming vehicle, the i3. The snark and weird logic of David (be it his character on the show, or IRL), doesn’t exactly fit the Hollywood Eco-Warrior trope. Yet there’s an underlying sense – a “special breed” of driver, if you will – to the iconoclastic choice. For me, this is perfect matchmaking. The i3 has been somewhat polarizing since its debut, with big-wheeled, fantastical mobility pod styling and a full-on luxury-spec price tag, not exactly jiving with technology placement somewhere between a Chevy Volt and a Tesla Model 3. 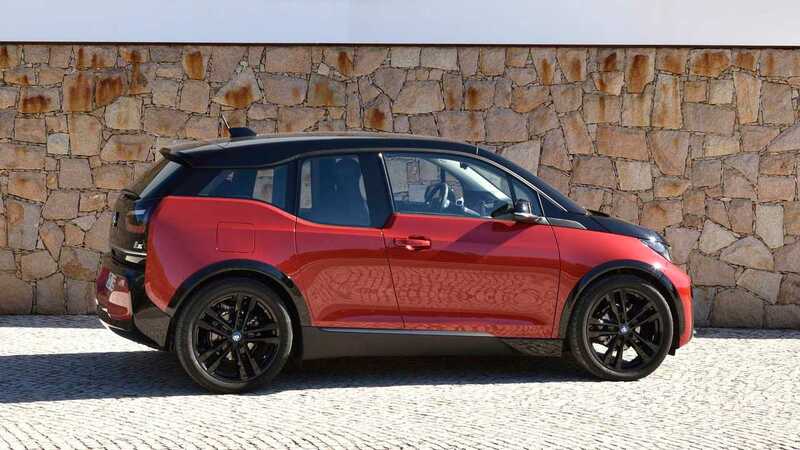 There’s always been a lot to love about a sporty, high-design, rear-drive, electric vehicle with a BMW badge, but the romance has seemingly been aimed at a very small slice of the EV-buy pie. 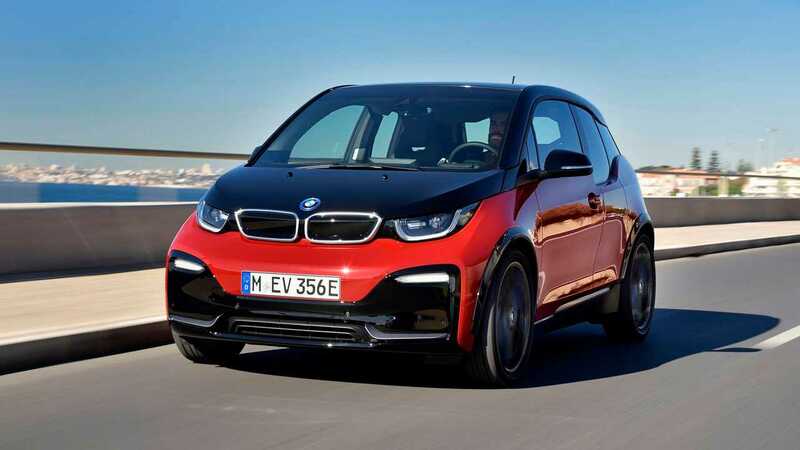 With the new BMW i3s – unapologetically aimed at a more “sportiv” audience – the slice would seem to get smaller, but the bite more delicious. 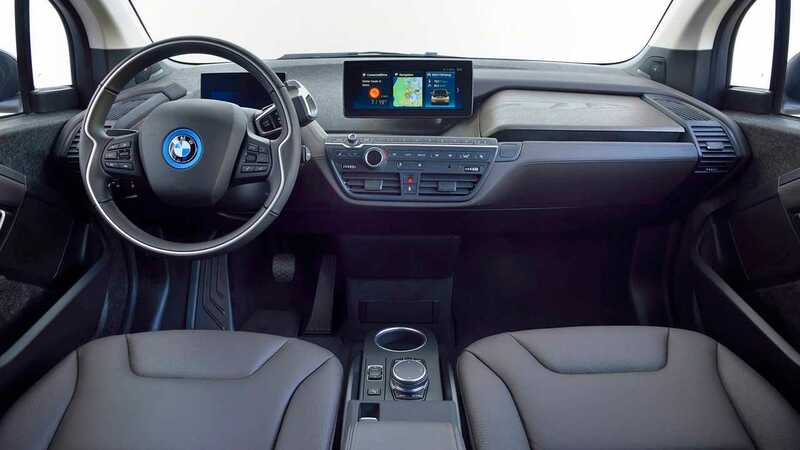 Before we get to the driving pleasure portion, let me say that the whole i3 model line will be better this year than before, because all trims, i3s included, get the once-optional 33.2 kilowatt-hour, lithium-ion battery pack. 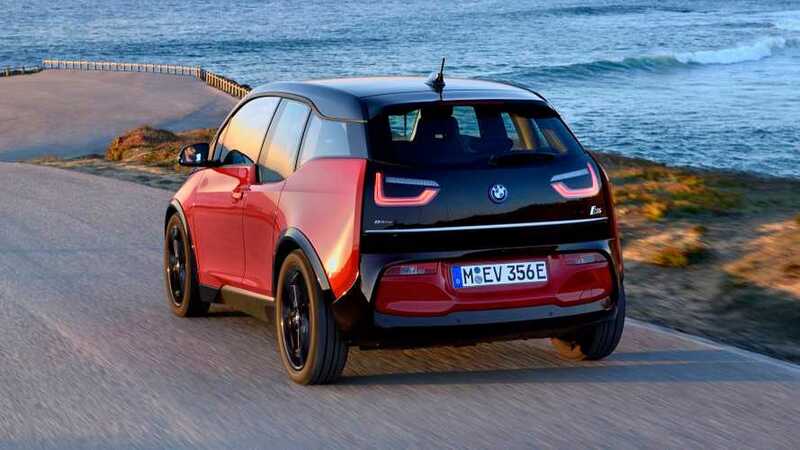 That bump means the non-range-extended i3 will have a range of about 124 miles; the version with the 650cc two-cylinder gas engine and tiny gas tank gets a range of over 186 miles, meanwhile. Both more than enough to deal with even LA-spec commuting. 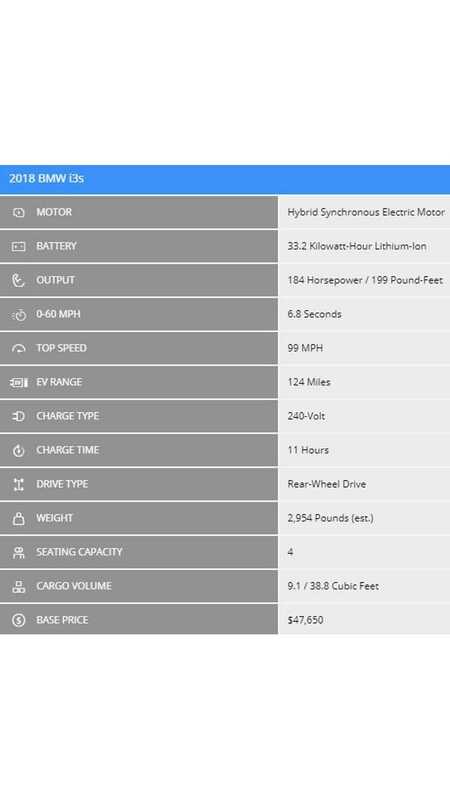 BMW specs 80-percent charge times that range from under 40 minutes (on 50-Kilowatt DC fast charging) to 11 hours (on a standard 240v hookup), depending on setup. The company’s preferred situation would be to install the “i Charging Station” in your home, which can deliver 90 miles of range in under three hours (11-kW / 16 amps). Pretty... pretty... pretty good. Of course, the conceit of the i3s is that it’s also quite entertaining to pilot, in addition to being a rational commuter car for city dwellers. And naturally, we’re already used to the thrills on offer from the combination of rear-drive and instant-on electric torque. But that “s” on the end of the model name also means more power – now 184 horsepower and 199 pound-feet of torque – and wider rubber to deliver it to the road. Don’t mistake that last bit; the 175-millimeter front and 195-mm rear rubber on 20-inch rolling stock is still skinnier than Larry in a new pair of pants. But it helps in getting the 0-60-mile-per-hour time down to a very respectable 6.8 seconds. That gap-shooting torque is exactly what the situation calls for, in the very unique drive BMW arranged for me in Lisbon. Rather than head out of town and towards winding roads, ala most programs of this nature, the route planners doubled down on the insanity that is driving in a 1,200-year-old city. Here, the light-switch quick acceleration proved quite handy in dicing with notoriously aggressive Portuguese drivers, but it was the size (specifically width) of the i3 that I found most useful. Many of the streets I careened down turned from boulevards to lanes, to friggin’ donkey paths in a matter of blocks. With pedestrians wandering around, and locals parked half in the street and half on the sidewalk, anything much wider than the i3’s 69.9 inches would have gotten waylaid half a dozen times, or more. I was also impressed by the ride quality on those oversized wheels, and Lisbon’s rocky version of a cobblestone street. Sure, I could feel the bumps and cracks that characterized most of the city route, but they weren’t so jarring as to make me want to take a break (or slow down). The suspension in the i3s has been optimized for a little bit of hooliganism, but it’s good to know it hasn’t become bone-crushingly stiff in the process. BMW has also included a “traction” setting for the multi-mode traction control, which allows the i3s to get slightly more playful than the standard version. Frankly, on the road drive portion of this event, I wasn’t cornering with a lot of opposite lock to test out just how loose she’ll get. But the organizers were kind enough to set up a short autocross course to demonstrate the system, along with overall nippiness, so I can report that one can indeed wag the EV’s tail. My guess is that most i3 owners won’t take advantage of this broader envelope of operation any more than Larry David will. But, there’s more to recommend the variant as the i3 to have, than just power and traction control. It definitely looks a little meaner. With those massive wheels, and the body sitting lower (by 10 mm) on them, the i3s is more aggro than the car it replaces. I doubt the visual tweaks will turn it into an overnight style icon – my wife still thinks it’s the dorkiest car I’ve ever driven – but you’re not going to miss one going down the road. Where the sheetmetal has observers split, I have yet to hear a poor report from anyone’s first foray into the interior. My test car was trimmed in a demure black and dark brown colorway, with fabrics and surfacing that remind me of one of Tumi’s modernist luggage lines. Recycled plastics, big-weave fabrics, and flat/matte colors abound, all while the bent-wood dash dominates the Scandinavian-feel space. With the added advantages of huge space and lots of light, this remains one of my favorite car-interior experience, in the BMW portfolio and anywhere else. You’re paying for that high design, naturally. 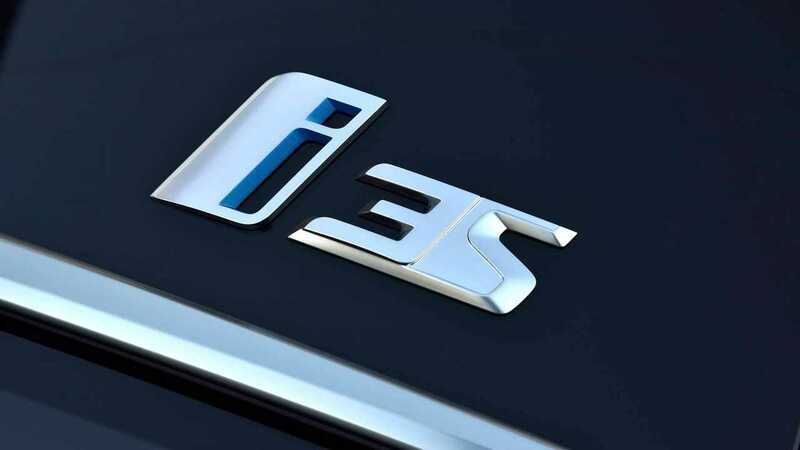 The i3s starts at $47,650 before options or rebates – compared to $44,450 for the base i3 – and rises from there. The range-extender option makes the bottom line jump to $51,500 for the i3s. This is far from basic electric transportation, and really not a bad value considering things like the very good iDrive 6 infotainment system, and carbon-fiber-heavy construction. But it’ll still require a much bigger budget than cars like the Chevy Bolt, and Nissan Leaf, if all you want is an electric car. 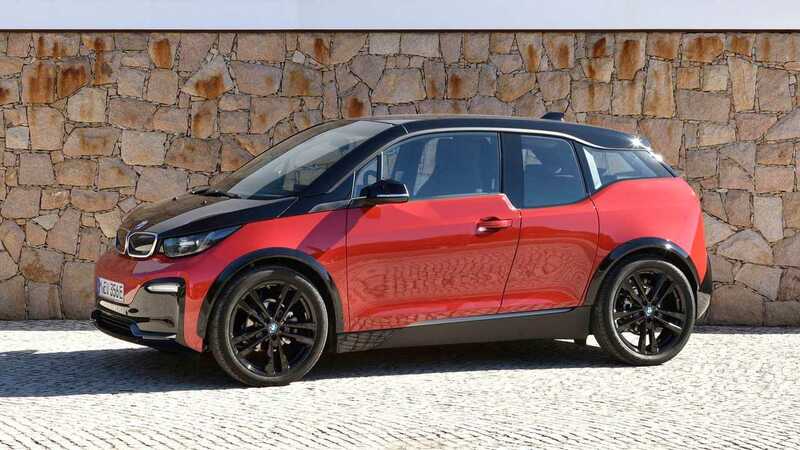 There are going to be more Larry Davids than i3s buyers, I’ll warrant; more folks will love the basic EV premise than will probably require the up-tick in sportiness that the i3s adds. Still, in a world where electric vehicles are becoming more mainstream, and simply better to drive, I’m happy to applaud this advent of enthusiasm.